The commercial RO system 100 LPH are used in various small industries, institutes and hotels can easily purify and remove various dissolved impurities. Our RO systems are designed to meet the specific requirements of the clients. These systems provide completely bacteria free safe water and possess a long life. Imbibing the technological advances, we offer water treatment solutions for multifarious industries. As a reputed manufacturer and supplier, we provide Industrial Reverse Osmosis Plants and Systems that display a blend of quality and engineering excellence. We have established ourselves as a leading service provider in the filed of water treatment plants, systms and equipment. Our hard work and determination to excel in the area of water treatment have taken this far. We provide our innovative and cost-effective water treatment solutions like Industrial RO Plants, Ultrafiltration Systems, Institutional RO Plants, Water Softening Plants etc. to pharma & chemical industries, food & beverage industries, hotels, educational institute, etc. our clientèle is constantly increasing due to our commitment to excellence in the field of water treatment. 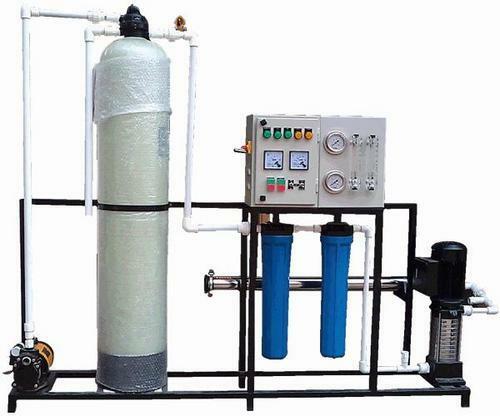 Our water treatment solutions range includes Industrial Revese Osmosis plants, Institutional Reverse Osmosis Plants, Domestic Reverse Osmosis Plants, Water Dispensers, Water Filter Cartridge, Water Purifiers, Water Softeners and Water Treatment Chemicals.